Are you intending to propose to your loved one over Christmas or New Year? 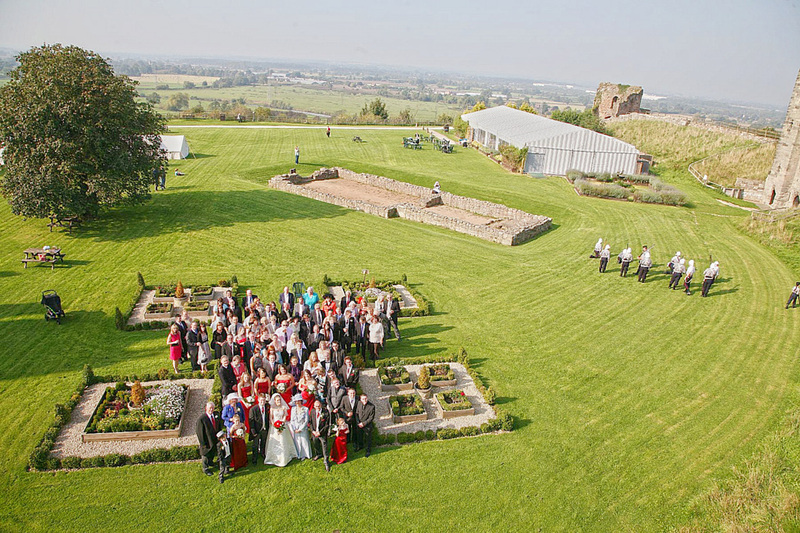 If so, Tutbury Castle would be delighted to offer you the opportunity of being married and/or holding your wedding reception at this unique venue. The Great Hall, which is furnished with authentic Tudor and Stuart furniture, can seat 45 guests for a wedding ceremony and 34 for a small intimate reception. 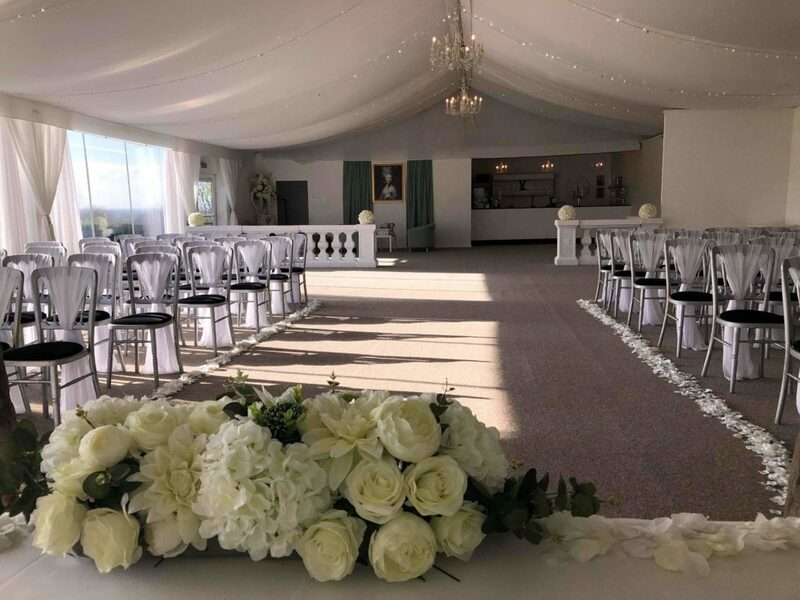 Should you have more guests than this or decide to marry in church we have a silver & white marquee which seats up to 120 guests and offer a variety of menus to suit your budget. The Castle is available all year round for ceremonies and receptions. For more information about weddings at Tutbury please Contact Us. 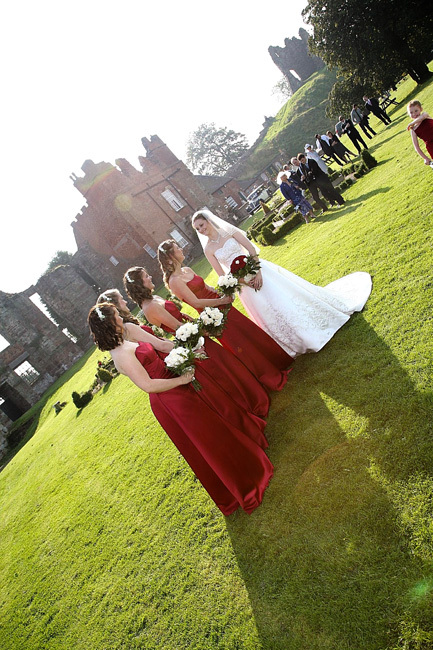 Marriage ceremonies take place in our wonderful Great Hall – the room where King Charles 1st stayed in the Civil War. 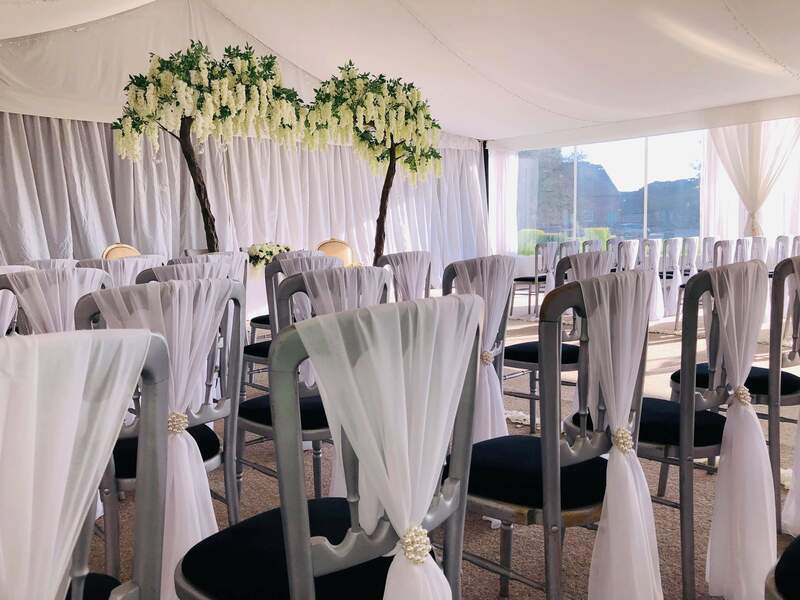 Up to 36 guests can then stay in the Great Hall for a wedding banquet or alternatively our beautiful wedding marquee can take from 80 to 130 guests. 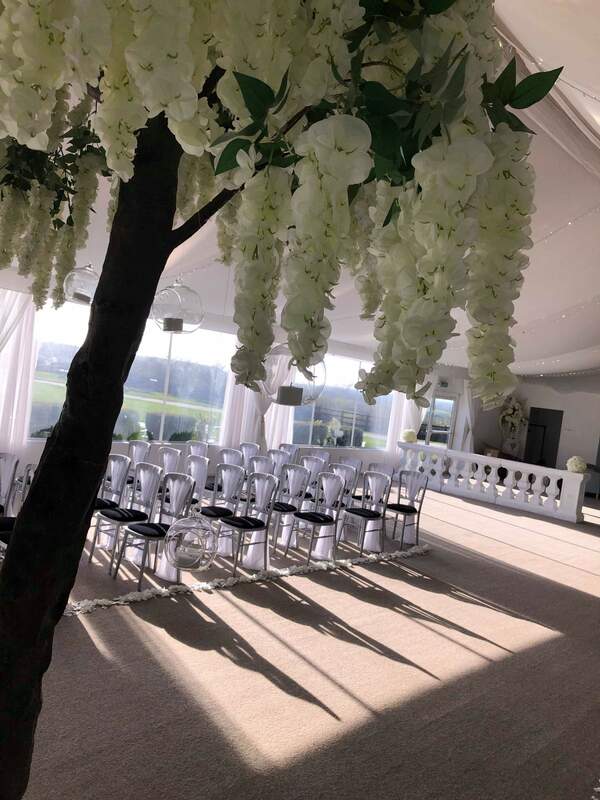 Or alternatively, our beautiful Wedding Marquee can now hold Wedding Ceremonies and receptions for parties up to 120 guests. 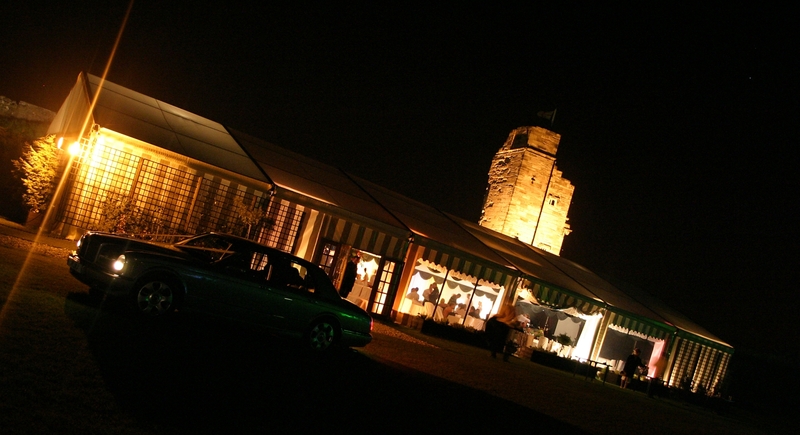 At our functions in the marquee, excellent food is prepared by top quality chefs. Our experienced front of house staff help you to plan every detail so that you have a wonderful, memorable day. If you are holding your wedding reception in the Castle’s Great Hall, meals in the Castle building are prepared by our in-house professional hospitality team to a high standard with a wide variety of choices available. 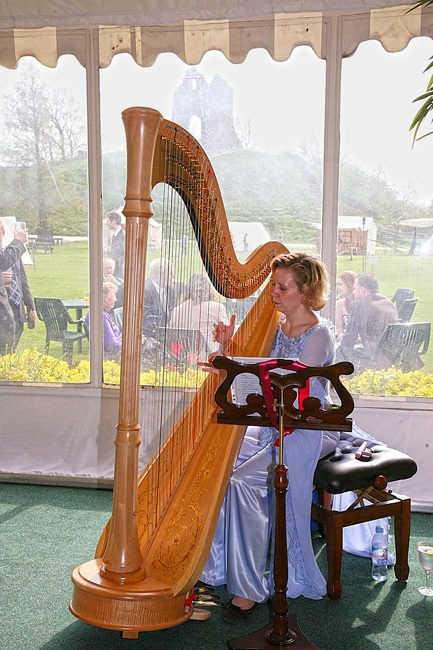 We’ve had people marrying in full suits of armour, elegant Georgian costume and being serenaded by pipers and harpists. 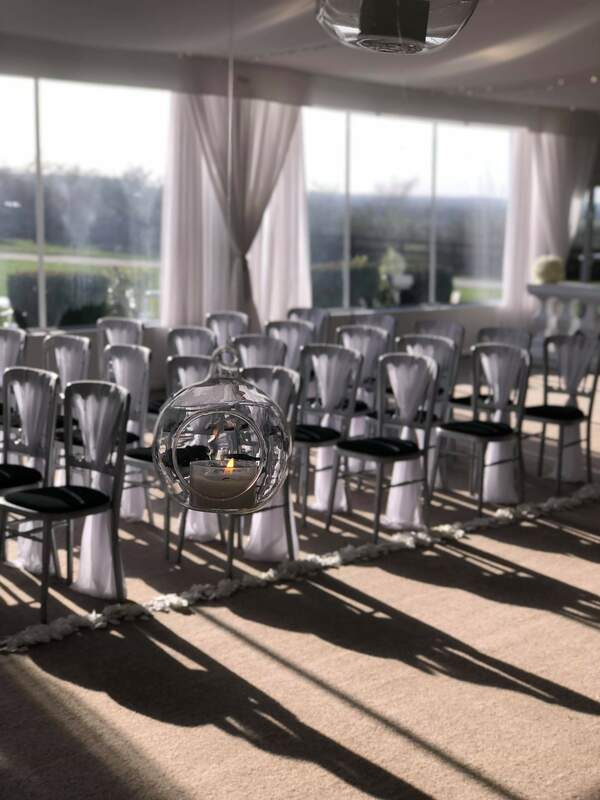 We believe people should be able to have the most romantic wedding they can imagine. You imagine – we’ll try and make it happen. 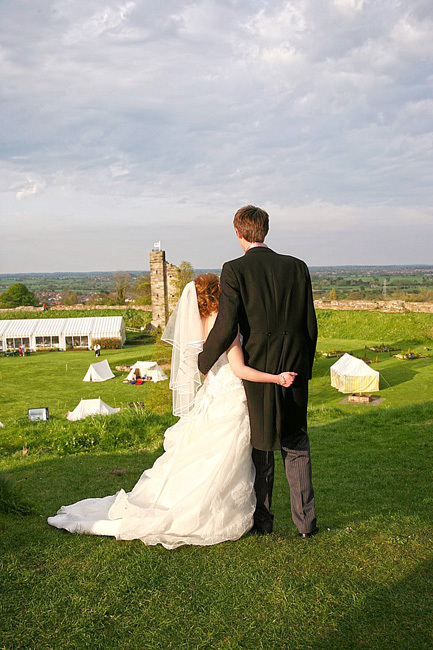 Set within the grounds of this lovely 11th Century Royal Castle, our beautiful marquee enjoys stunning views across the green Dove Valley and several counties. 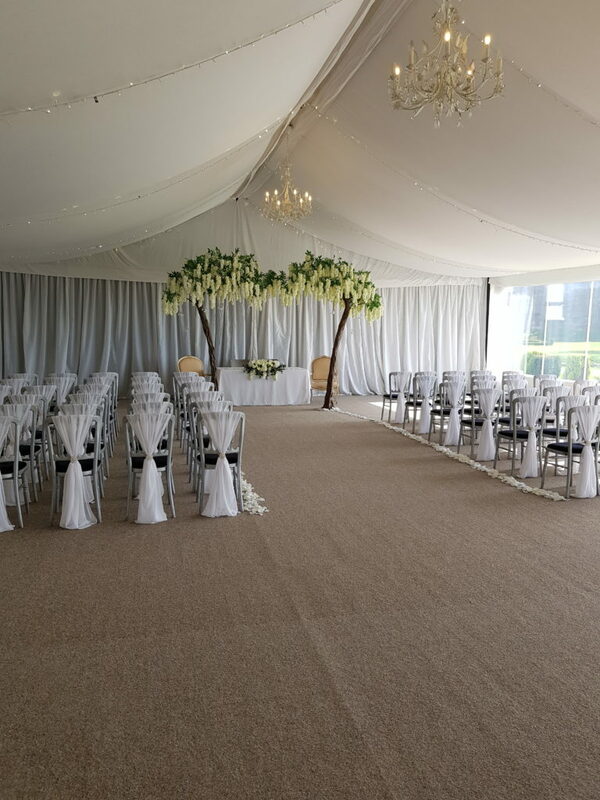 The interior of the high specification marquee is stylishly lined, fully carpeted and seats up to 120 guests. 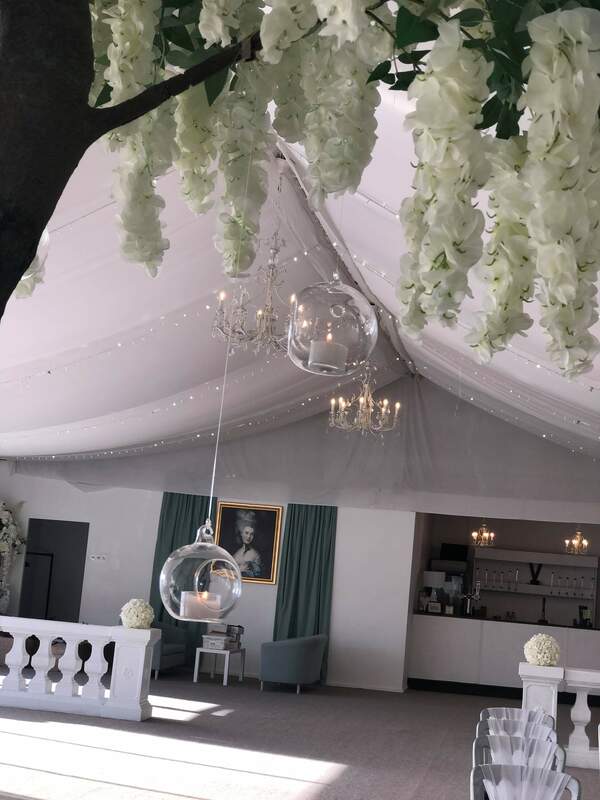 Crystal Chandeliers, fairy lights running through the ceiling and dance floor making Tutbury Castle Marquee a breathtaking choice for your event. Our excellent team of professional caterers prepare fresh food on site and, together with a fully manned bar, provides the highest quality service. For the comfort of your guests there are luxury wash room facilities housed within the marquee and ample parking is available at the castle. Come along and discuss your ideas and see the setting for yourself. 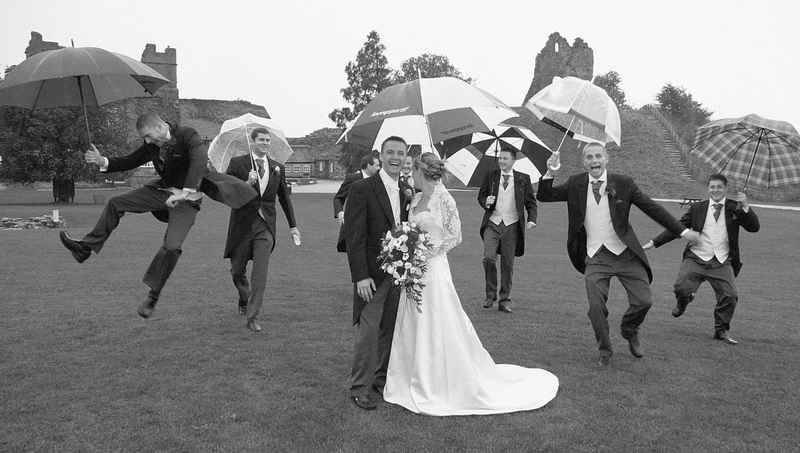 Let your imagination and our expertise create your perfect day. 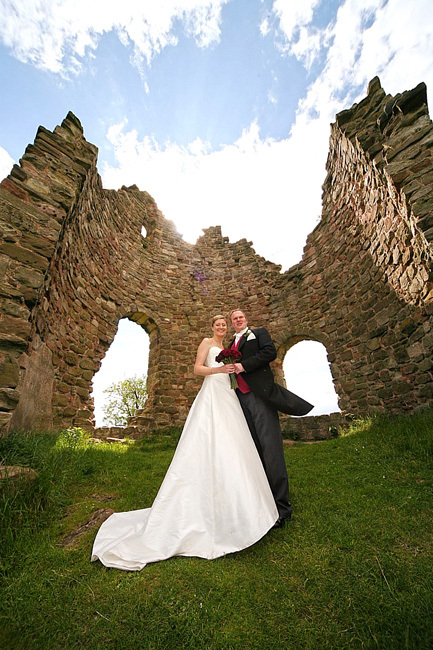 Tutbury Castle now offers dramatic midnight weddings. Ceremonies will be held by torchlight in the grounds with the amazing backdrop of the floodlit Norman Castle ruins under the stars. The Castle has an extraordinary past and one of the most important royal castles in English history having had guests such as Henry IV, the Black Prince and Henry VIII, as well as being a prison for the tragic and romantic Mary Queen of Scots on four occasions. The event would work by offering the latest possible civil ceremony followed by a reception and then a Medieval Handfasting at midnight. 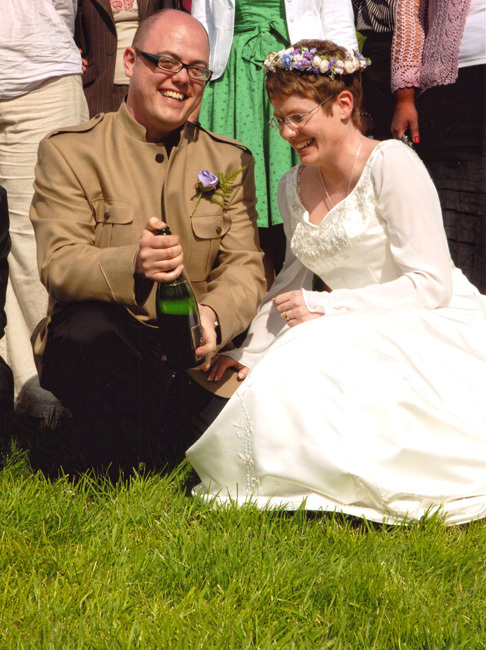 Some people may chose to only have the Handfasting perhaps to celebrate a wedding anniversary, or for those individuals who wish to make a public commitment to a partner in front of friends and family. The Handfasting is not legally binding but it was until the late medieval period and was recognised by the Church and State. Lesley Smith, is a world famous Ghost Hunter and expects plenty of ghost hunters would so enjoy this choice, particularly if they manage to squeeze a spook-hunt in between. This beautiful royal Castle could be the venue for your civil ceremony. After all, it is the most important day of your life so make the fairytale come true! The Ceremony can either take place in the beautiful Great Hall or the Stunning Marquee conducted by the area Registrar. 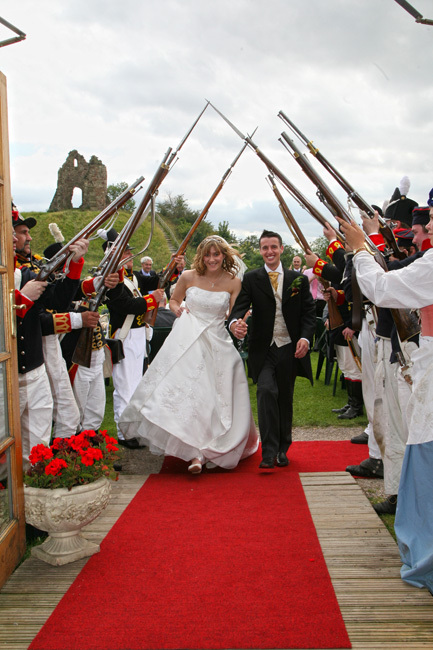 For the adventurous you can then proceed to the open air for a romantic medieval handfasting ceremony – which includes jumping the broomstick to symbolise the sweeping away of your old lives and onto a new life together. 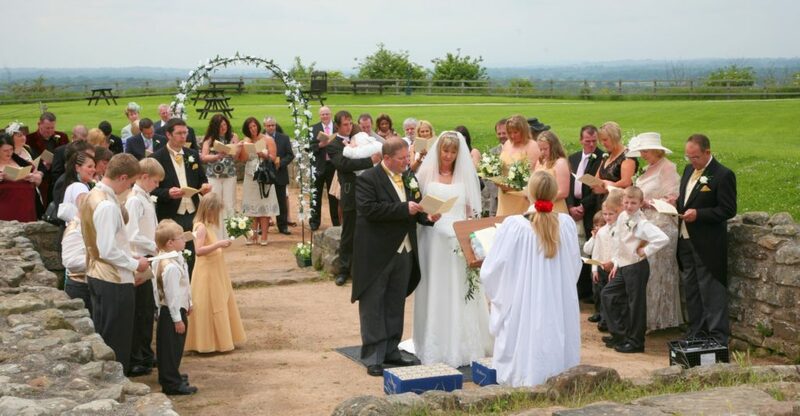 The handfasting can be booked independently, following marriage elsewhere, or for renewal of vows. 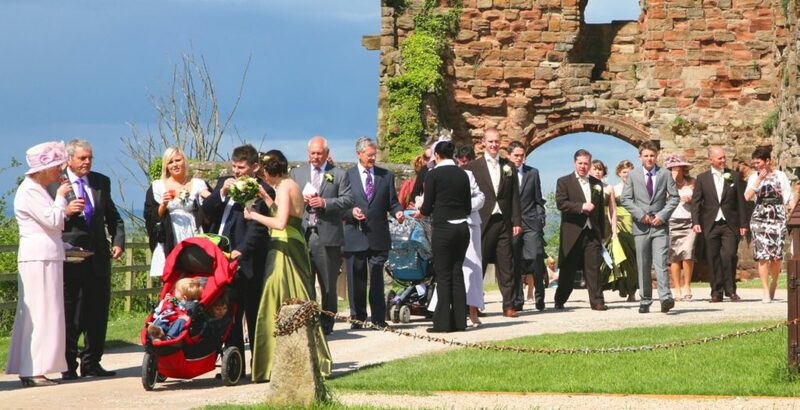 Then you can have a champagne and canapé reception whilst the photographs are being taken before proceeding to your reception here in the Castle marquee, Great Hall or elsewhere. 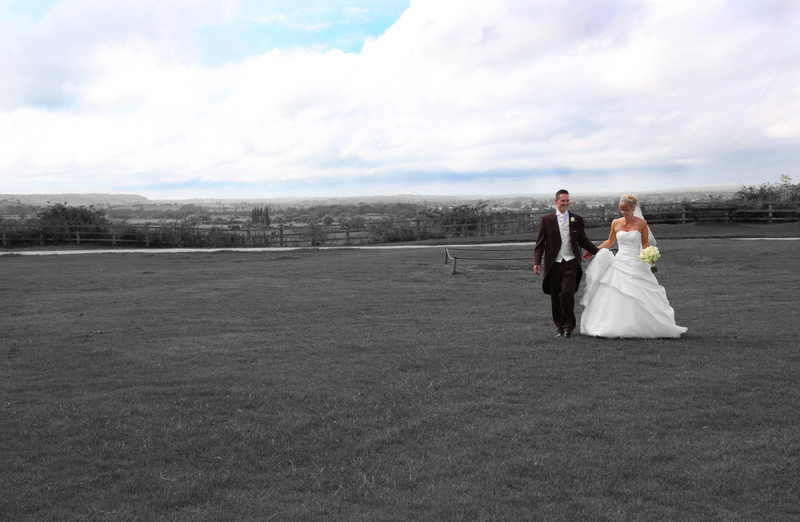 Civil Ceremony / Civil Partnerships from £660. Please note that the Registrar’s fee is payable in addition to the fee charged by the Castle. Sparkling Wine & Canape reception £12.50 per head. Champagne & Canape reception £14.50 per head. Receptions (from 20 to 120) On application. 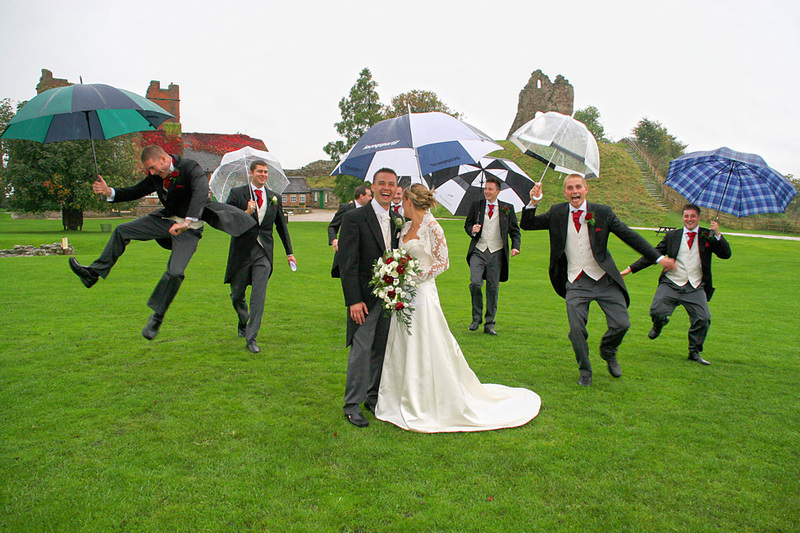 Commitment is something to celebrate, so Tutbury Castle is offering medieval handfast ceremonies. For centuries couples ‘jumped the Broomstick’ and promised friendship and fidelity. This beautiful ceremony is not recognised legally as marriage but is a great way to celebrate moving in together – or the fact that it has lasted so long!. 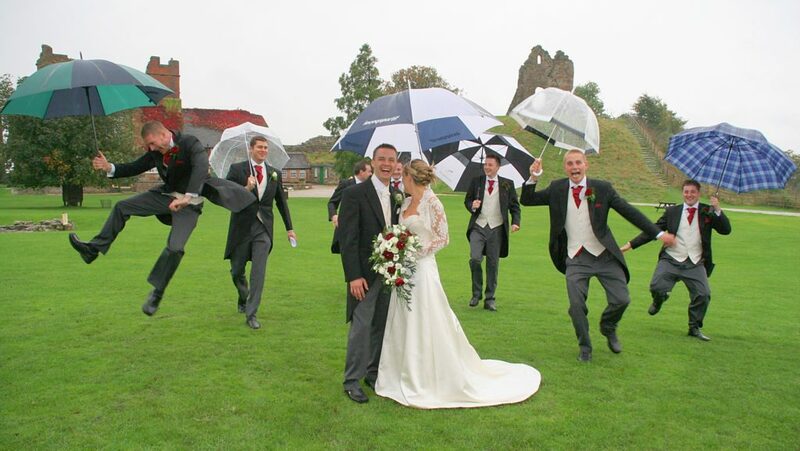 What better way to celebrate than with family and friends at our fantastic 11th century Castle? Sit down for a candlelit meal in our Great Hall surrounded by Tudor and Stuart furniture and artefacts or in our cosy Tea room. Entertainment can be provided by one of our historical speakers or by our medieval Jester at extra fee. 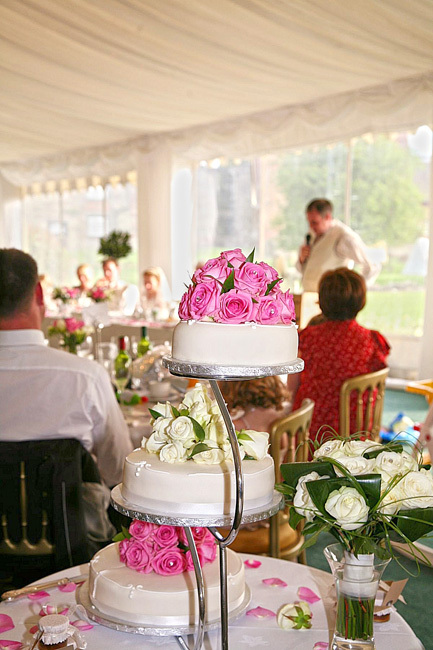 We ask for a minimum group of 25 and can cater for a maximum of 36, or alternatively, for larger parties, our marquee can seat from 80 – 130 guests. The Castle is fully licensed to sell alcohol.